Special thank you to all the Chef’s who came out and shared their great food with all of us! 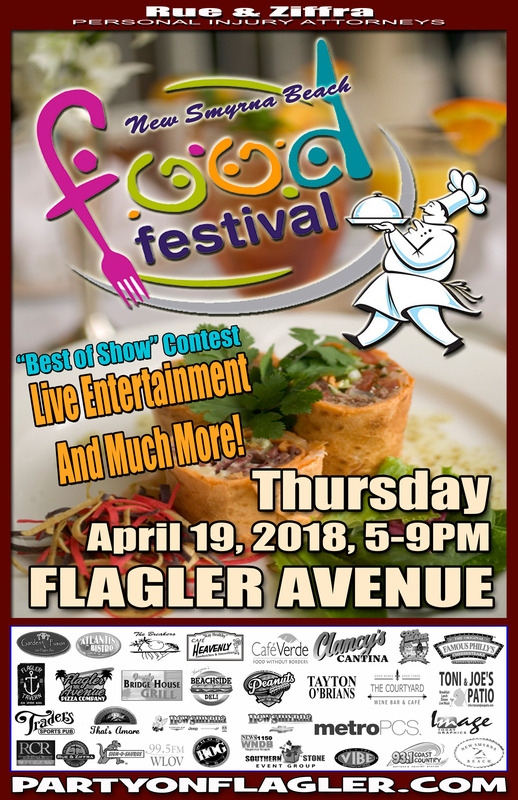 The 2018 New Smyrna Beach Food Festival will take place Thursday, April 19 from 5pm to 9pm on Flagler Avenue Beachside off the North Causeway from US 1/Ridgewood. The festival showcases scores of local restaurants selling tastes of their best dishes at “sample-size prices” - from $3 to $5. The Festival is designed to allow guests to stroll the avenue and enjoy tastes of sumptuous food from multiple restaurants. The restaurants will be competing for New Smyrna Beach’s winner-take-all “Best on the Beach” award. The judges represent the local food industry and community stakeholders. In addition to the food booths, the festival offers local artisans, live entertainment inside host sponsor locations, venders, sponsor displays and exhibits. Flagler Avenue will be closed to vehicle traffic accommodate the festival from Pine Street to S. Atlantic.